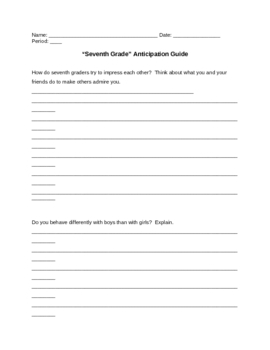 Use this anticipation guide to help your students think about some of the themes in Seventh Grade, a short story by Gary Soto. 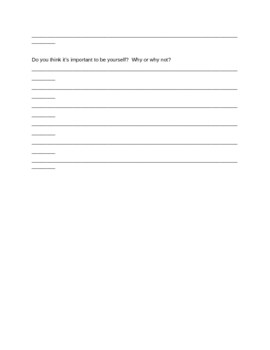 Includes three questions with lines on which students can write their responses. Great as a discussion starter, warm-up, or journal prompt. This document is also available in the Seventh Grade All-in-One DEAL.